John H. (Howard) Morsette, wanbdi cikala (little eagle) Made his journey to the spirit world on November 30, 2018. He was born to Anna Mandan and Fred Morsette in Elbowoods, ND October 26, 1940, he was a member of the Low Cap Clan. John started school in Elbowoods then attended Catholic boarding school at Stephan SD where he excelled at running long distance. After graduating John entered the Navy and did two tours in the Vietnam conflict where he was a Chief medical corpsman for the Marines. It was said he did more than one tour so his younger brothers didn’t have to go over. John spent 20 years in the Navy and was posted in a number of places in the world such as Japan, Hawaii, and San Diego. He retired as a Chief Petty Officer. He was awarded numerous medals. John was a lifetime Member of VFW 9061 of New Town ND, Franklin D. Chopper Post 61 of Brockton, MT, Myron B. Johnson/Nathan J. Goodiron Post 271 of Mandaree, ND. He strongly supported and encouraged Veterans where ever he encountered them and was proud to be a veteran. 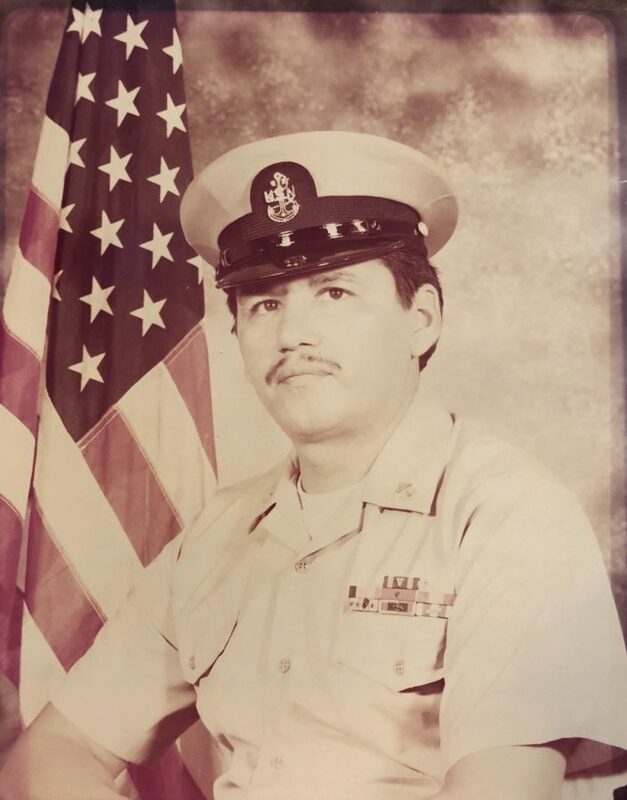 While in the Navy he earned his master’s degree in 1980. John was a strong believer in education, also while in the navy he participated in several marathons. He returned to the Fort Berthold reservation in 1983. John was a very loving person and when he first came back he was always hugging everyone. Many thought “what’s up with this guy?” but that didn’t deter him. John continue to be loving, caring all his life with a smile, hug and lovely greetings to all he knew and met. John met Rose Eagle in 1983 at a pow wow in Poplar, MT and they became a couple. John moved to Fort Peck and they were married on November 23, 1984. They just recently celebrated their 34th wedding anniversary. They had two children Leanda and Thomas. Also 5 grandchildren William Chopper, Mark (Sam) Eder, Keionna Frederick, Michael John Eder and Danny Eder; two great granddaughters Amara Peterson, Helen, two great grandsons, Demetri, Hance Chopper, and one on the way. He was extremely close with his grandsons. He loved his family beyond measure and was actively involved in their education and sports activities. The whole family took many trips and just enjoyed spending time together. Once back home he continued his spiritual journey by learning traditional ways from elders especially Joe Flying by in Little Eagle, SD. He began to participate in Wi Wang Waci there. He continued to Wi Wang Waci throughout his life at Sitting Bull and Brave Thunder. John became a person held in high regard in his community the Fork Peck Reservation, as well as Fort Berthold, and throughout Indian Country. A relative wrote of him “John was a man of integrity, he was well respected and inspired people to achieve their highest realm. He set the bar high and people wanted to model their lives and be like him.” He was asked by many to do naming ceremonies, also to pray for those in need of prayers. In Poplar John went to work with IHS and when he retired, he had over 40 years of service to his country. John received a special recognition in Washington DC for his service. Through his many years of service, John received many awards and medals, including a Sea Service Deployment Ribbon (1st – May, 1977) – (Second – Aug, 1981), R.V.N. Service Medal with (3) Bronze Stars (Campaign – 12, 13, 14), R.V.N. Campaign Medal, R.V.N. Armed Forces Noritorious Unit Commendation – Civil Action Color Palm (Sep, 1969 – May, 1970), Navy Achievement Medal with Combat Distinguished Device, and Combat Action Ribbon. He was an avid reader and you would always see him with a book. He enjoyed visiting and going to casinos to play the slot machines especially in Las Vegas, NV. John had 36 yrs. of sobriety. He was a wonderful, supportive, and loving uncle to his sister and brothers’ children as well as his other extended family. He showed great courage, strength, and bravery through his illness never complaining and still having a smile for all who saw him. He is survived by his wife Rose Morsette, daughters Leanda Birthmark, Vicky Morsette and son Bobby Morsette. Three brothers, Jerome Morsette, Eagle Plume Mandan, Sr and Cordell Morsette. One sister Johanna Morsette, Maternal Uncle Bob O’Brien and a paternal aunt Rose Drapeau. Niece and Nephews; Marietta, David, Eric, Bucky, Leann, John Jake, Jordan, Jeri, Anne, Bernadine Morsette. He was adopted in traditional way by several individuals the first was Freddy Sitting dog, Mr. & Mrs. Pat Adams, Eunice Alfrey and family, Jerome Fourstar Family, Darcy Anaquad, Fred McGeshick & Family, Benji GrayHawk & Family, Bailey Family, Kidder Family, Ron and Raqiba Luchau, Connie Fasthorse and family, and many numerous family members too many to name. He was proceeded into the spirit world by his father Fred Morsette, mother Anna Mandan, son Thomas Morsette, one sister Bernadine Yellow wolf, his maternal uncles; Bernard Mandan, Richard Mandan, Victor Mandan, Adam T. Mandan, Aunts, Eloise Johnson, Rose Marie Mandan Baker, Alfreda Goodiron, Paternal uncles, Charles Fox, George Morsette, Lawrence Fox, John Fox, Bob Fox, Matt Morsette, Alfred Morsette. Aunts, Melvine Everett, Gladys Soules, Carrie Morgan. We apologize if we have left anyone out. A wake will be held at 7:00 p.m. on Tuesday, December 4, 2018 at the Poplar Cultural Center and a funeral will be held at 10:00 a.m. on Wednesday, December 5, 2018 at the Poplar Cultural Center. Interment will follow at Poplar City Cemetery. R.I.P. Retired Veteran Mr. John Morsette Thanks For Being A Great Friend To The Boyd Family And Praying For The Morsette Family.. Thank You For Your Friendship And Being A Great Elder And A Great Friend Of The Boyd Family And Help When Called And Prayers Sent To The Morsette Family In This Time Of Loss..
Prayers and love to all of you. John was a blessing and a hero to many of us. He was kind, generous, and humble. The world is a better place for the life he lived and the goodness he shares with us. Fly with the eagles John. as a Very Holy Man & Teacher to Many ! Feeling very blessed to have known this kind, spiritual soul ! Rose and family my heart is heavy . But we know he is not suffering my prayers and thoughts are with you all. I am please to say I have a lot of good memories of you and John. God bless you Rose. My condolences and prayers for John’s wife and family. I salute you my good friend, rest now. We’ll meet at the rally point. John was one of the greatest men I ever met. Our family will miss him dearly. Safe travels brother. I appreciated Johns living and gracious heart. Always very respectful and polite. Such a gentleman. A great example to all of us. He was also very kind and full of compassion. He is a quality person that will be greatly missed here on the Fort Peck Reservation. We did many, many funerals together for veterans. He served each post with honor I’m sure and the Franklin Chopper post was no exception. Some of those services were in frost bite cold conditions yet he stood there strong and proud and humble at each service for one of his fallen comrades I certainly loved this man. Can’t say enough about him. God bless you Rose and all the family. My prayers are with you. Rest In Peace my beautiful brother. As you know Rose better than anyone, John never met a stranger. He made everyone feel special. He was good to all races. He truly walked the red road. He will be missed by so many , because he was loved by so many. Thank you for your service to your country, friends, and family. Your kindness will never be forgotten. (There are no words for goodbye) so until we meet again, you’ll always be remembered for the great person you are. Semper Fi! My sincere condolences to the family of John. Thank you for taking me as your clan daughter .when my dad died in 1995. I was so blessed. You will be missed. So rest in peace. Say hi to my dad for me. Thank you uncle John for all the memories I’ll never forget you! Thank you for giving me my brother Jason my sister Emily and my dad Doug Stiles all of our Indian names and adopting us into your family! I remember when u would come through and stop at Johnnies when I was working and everyone would ask who u were to me I said that’s my uncle John he would even confirm this to everyone..lol he was never ashamed of me.. I will be forever missing u and our talks we had! Thank you love u God’s speed fly high deksi! My condolences and prayers for the family. John was one of my fathers classmates from Stephan. He was a very kind man and I respected him greatly. Uncle!, may the Creator be with your loved ones at this time. We were all so blessed to have known you in this life. Safe travels on your journey. I’ll always miss visiting with John. He was a guy that felt comfortable around anyone and was so generous and kind. Prayers and smoke for all the family, and thanks to uncle john for caring on tradition and passing it on so we all could walk this trail.